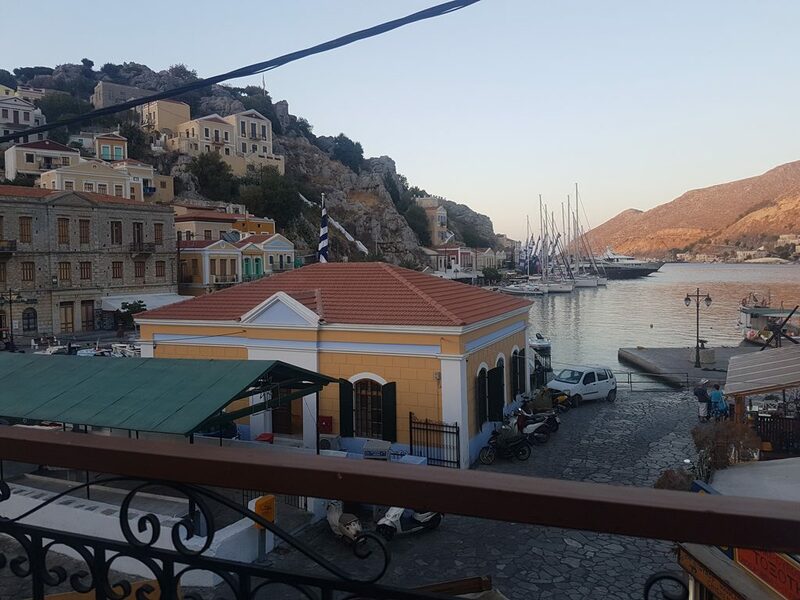 We had booked our accommodation just beside to the eye-catching Symi harbour and we could see, from the small balcony there, that “Poseidon” was ready to depart… without us! 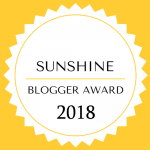 I rushed as much as possible forgetting my sunscreen on the chair – the next day we would have to return back to London so I simply could not miss that cruise tour around the island , one of the top things to do in Symi ! 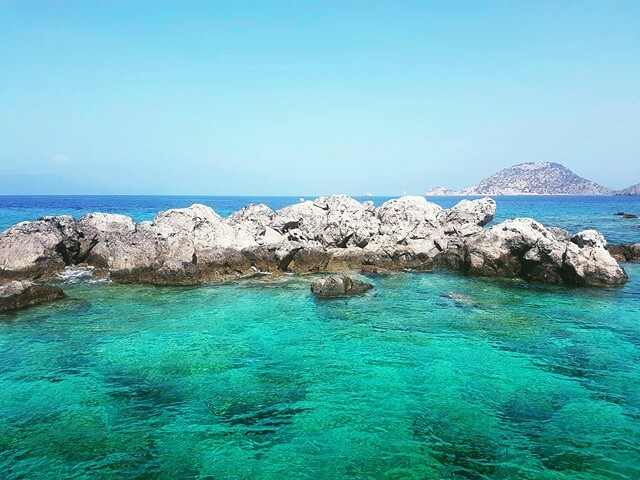 You may have heard about Rhodes Island but hands up if you know about Symi Island as well! 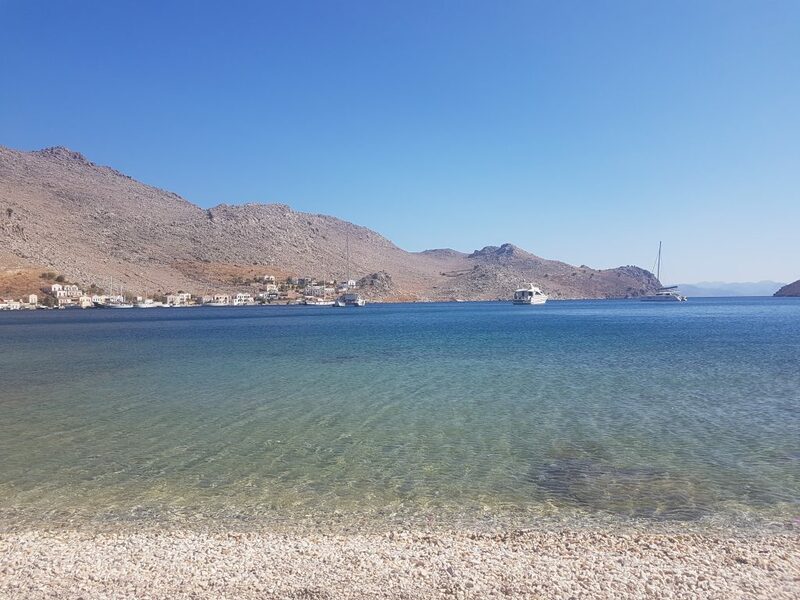 This small beautiful island in the Aegean sea, not accessible by air but just 1-2 hours from Rhodes by ferry, has one of the most picturesque harbors in Dodecanese (=a group of 12 main Greek islands located South East of the country). Here, you can rent a motorbike to visit areas that the local mini bus doesn’t reach or you can hire a water taxi to take you around to the less accessible beaches; however we had already did these and we were up for something more relaxing where someone else would have taken care of us! 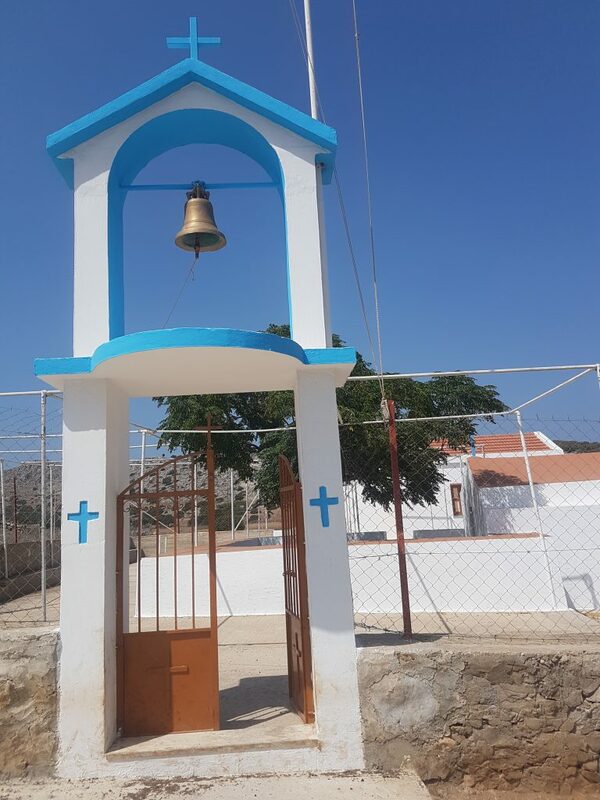 The cruise lasted about 7 hours in total and we visited the highlights of the island – apart from the Monastery of Archangel Michael Panormitis as we are Greeks and we have been to countless orthodox monasteries and churches so far! 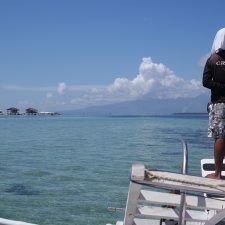 Rushing, we jumped on board and found the last empty corner on the boat, while the crew was offering coffee and fresh fruits, and we sailed west, towards the first stops, the Maroni bay and the seal cave. The weather was amazing, not too hot (early September) and we enjoyed a bit of sunbathing. As expected, we didn’t see any seal as the cave is quite small (…for the seals, swimming along with a bunch of noisy people is not their cup of tea!) 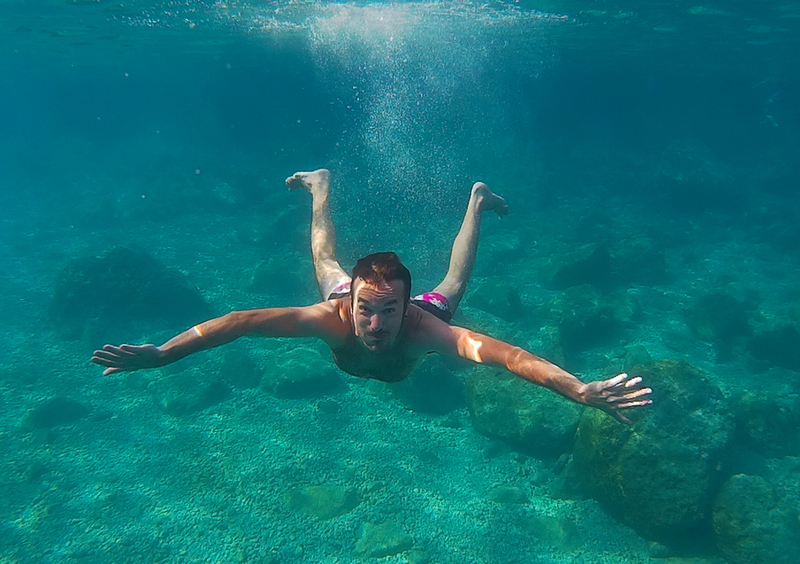 but the water was clear and we had a great time playing with the underwater action camera! Then , we sailed to Diavates islet, at the western point of Symi, where we had one more stop for swimming and sea observing. 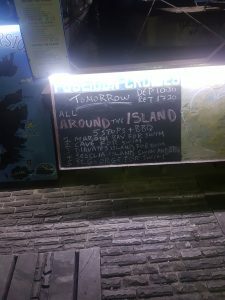 The staff gave us a few information regarding the islets and then they started preparing our food… did I mention that we are having a BBQ at our next stop on the uninhabited island? We headed to Seskli island, south of Symi, hungry but excited and we decided to explore on foot the island before our BBQ-lunch- who can go uphill after a Greek meal?! Followed by some sheep we soon after stumbled on a chapel, one of the millions in the Greek islands, and then we followed the path which runs around the tiny island. Only few shepherds were here, 1-2 boats and LOTS of friendly sheep! yes, most of the Greek islands Chapels look alike ! We came back just on lunch time and we were not disappointed at all! 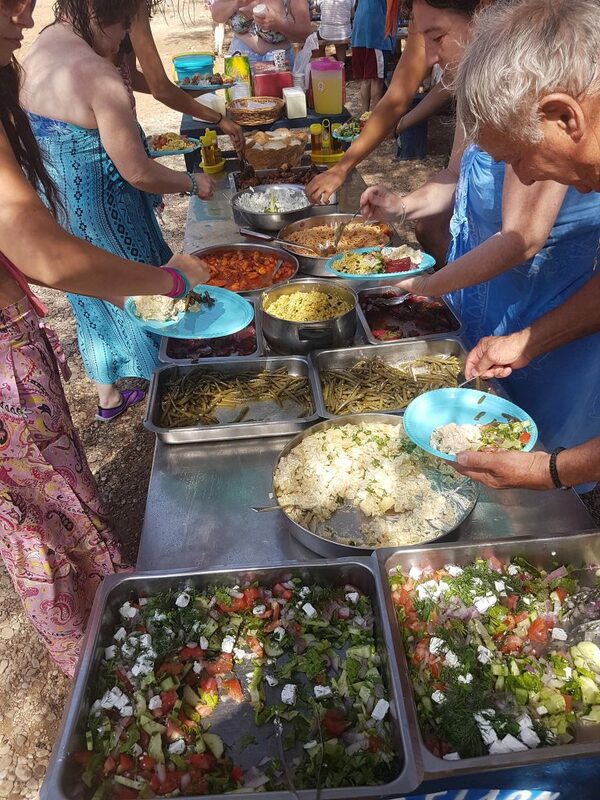 Huge bowls of salads, amazing pasta, Greek cooked dishes, wine and refreshments – all free and unlimited! Most of these were vegetarian/ vegan anyway so as a vegetarian myself I couldn’t complain! Eating is life! This photo was taken while I was refilling my plate for the third time!! Pure happiness! The bay of Saint George Dysalona has magnificent scenery due to the 300 meters high rock that overlooks the small beach. 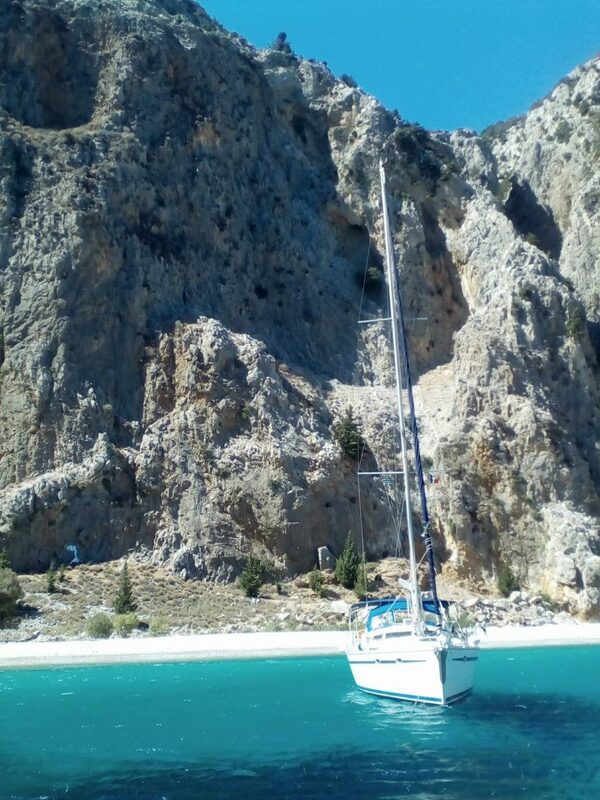 Many sailing boats anchor here to enjoy the landscape and to swim under the imposing rock shadow – there is room for everyone but it may be better to avoid peak season (mid July – August). Crystal clear waters and refreshing fresh air guaranteed! The best Symi harbor views appeared to us on the way back, the warm sunset turned impressively the sky colour into orange hues while the remaining sunlight was reflecting on the vivid local houses – what a pleasure for our eyes! 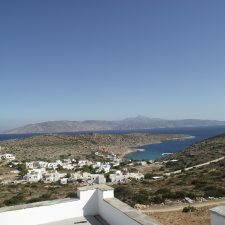 Don’t be confused with the “white little houses – blue windows and doors” concept that usually represents the Greek islands- this is a characteristic of the Cyclades Islands Region only (where Santorini & Mykonos belong to). Symi, and the Dodecanese Region in general, has a completely different architecture style that has been influenced by the Venetians/ Italians who had occupied the islands in the past. Unfortunately, I didn’t have my camera with me so here is what my mobile captured! For that trip we could not have asked for more! It was an excellent day cruise, relaxing, blissful and value for money! As Greek, I always recommend visitors to experience a daily cruise around every island they travel as it is an excellent and quite affordable way to explore areas that wouldn’t be able to do other way! 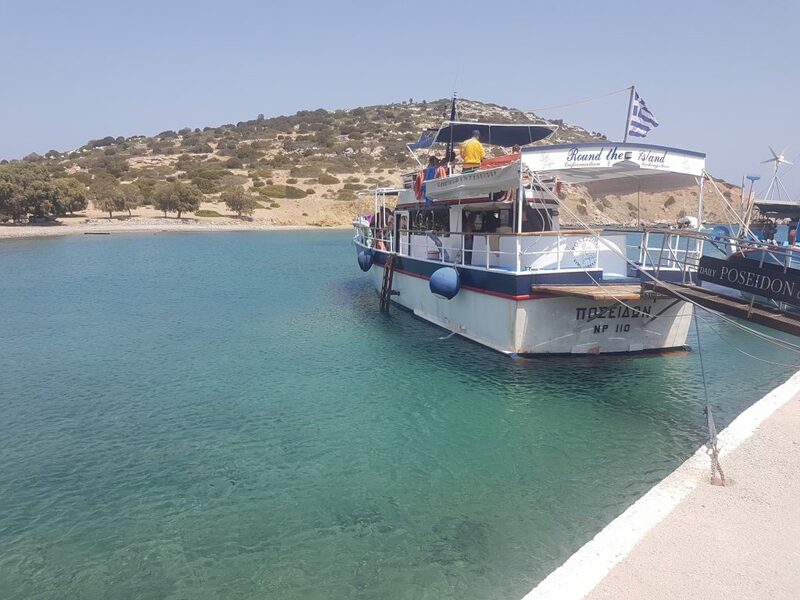 Fly to Kos or Rhodes (both have international airports or you can fly through Athens/ Crete / Thessaloniki ) for the shortest ferry ride from there to Symi. Frequent services daily, especially from/to Rhodes island. Up for a challenge? Travel like Greeks do! Fly to Athens and hop on the ferry from Piraeus (the Athenian port and the biggest in Greece) and be prepared for a looong trip (16-17 hours) and a real local experience! 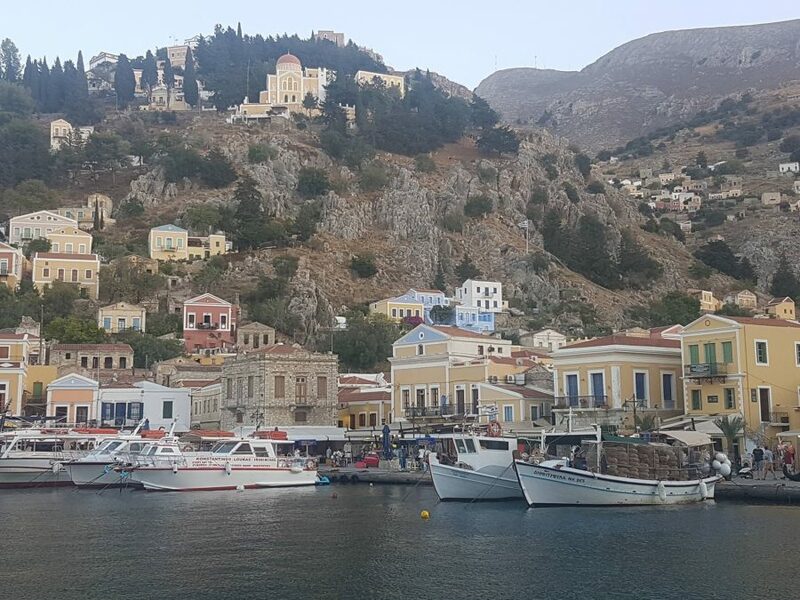 Have you heard about Symi island before? Would you like to visit it? As always the comment are yours ! I am so jealous with the colour of the water. My plans this year are for Greece. I wish, I will manage to take this tour! Oh yes , you will love it! I am planning to write as much as I can regarding Greece as people know mainly about Santorini, Corfu, Zante, Rhodes and Mykonos islands! No doubt, these are amazing but there are so many hidden gems too! Let me know if you need any help for your upcoming trip! The sea looks beautiful! So clean and inviting! The bottomless buffet looks really yummy too!! ? What a beautiful island! I love Greece, but haven yet travelled to Symi. Those waters are so translucent, I bet it’s incredible to swim in. It reminds me of my time in Sicily, another wonderful place! Thanks for sharing, saving it! I’m planning a trip to Greece next year. I love your underwater photo. Did you use go pro for it? It is very cute island indeed! It is not go-pro but it s a similar ”active” camera, very useful in trips like that! It sounds like you really had a wonderful time. And Poseidon Excursion offers several activities plus foods! It is worth to check out when we visit Greece in the future! Thanks for sharing this. Error: Error validating access token: Session has expired on Tuesday, 02-Apr-19 16:48:27 PDT. The current time is Thursday, 25-Apr-19 11:51:52 PDT.